Today was a busy day -- we ran our errands and then I worked on a few projects. Youngest son came for dinner tonight so I made something that he would eat -- pasta! 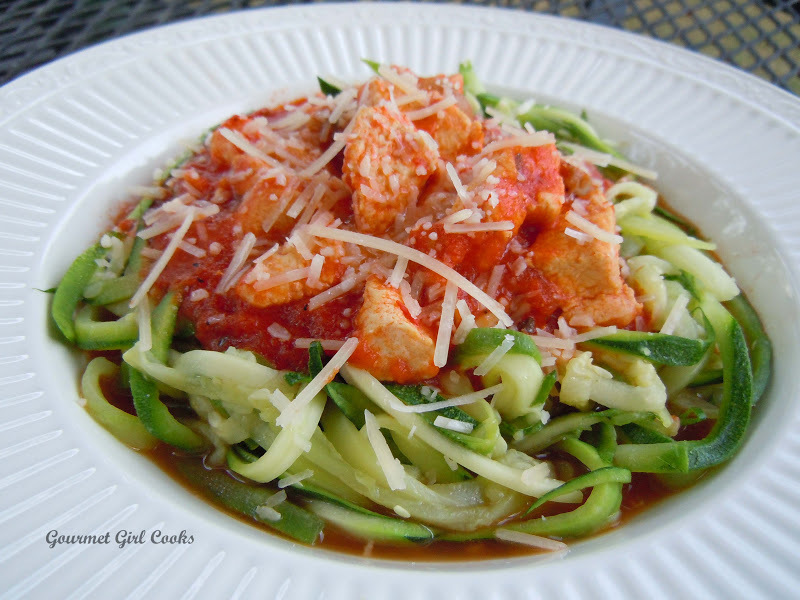 I used my Spirelli to make zucchini pasta for him and me (hubby still eats the wheat pasta). 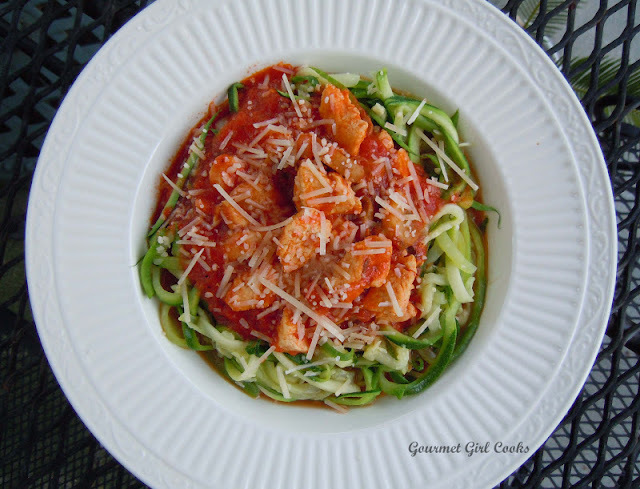 I made a quick dinner this evening so I used one of my favorite jarred sauces by DelGrosso -- I used their "Sunday Marinara" flavor that has no added sugar. Of course, I had to add some cayenne pepper to give it a bit of heat. I sauteed diced boneless chicken breast and fresh sliced mushrooms and then added the sauce, covered and simmered for about 30 minutes. It was quick, easy and delicious! I snapped a couple photos below. Enjoy!